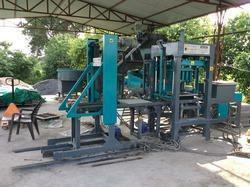 We are the leading manufacturer, supplier and wholesaler of Automatic Fly Ash Brick Plant to our valuable clients. Pan Mixer 400 Kg. -02 Nos. We offer our clients the best quality range of Automatic Fly Ash Brick Plant used in several construction purposes. With the use of optimum materials, we design our products to give them high functionality. These are best in performance and are highly reliable.